Glendronach announces a spectacular official return to the Singapore market with the introduction of its new Revival Aged 15 Years Old as well as a market-exclusive limited-edition 1993 single-cask bottling. If you’re new to whisky you’ve probably never heard of Glendronach, the modestly-sized, Aberdeenshire-based Scottish distillery is often spoken in hushed, awed tones among the ardent fans of its heavily-sherried whiskies; in fact, its robust Highland style is much sought-after by those who hanker after the flavours of old. One of the reasons why Glendronach whiskies are so highly-regarded is, ironically, its checkered history. The distillery bounced from one owner to another since its founding in 1826 – at one point it was owned by Pernod Ricard’s Chivas Brothers – before it landed with its current owner, Brown-Forman, which also owns and operates sister distilleries BenRiach and Glenglassaugh. 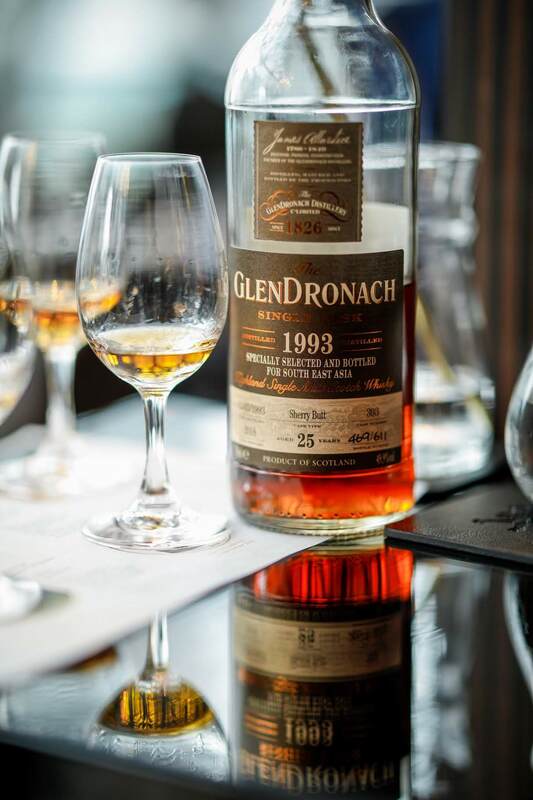 What’s particularly significant throughout that history though, was the Glendronach was actually mothballed between 1996 and 2001; no whisky was produced during that period. Why is this even important, you ask. 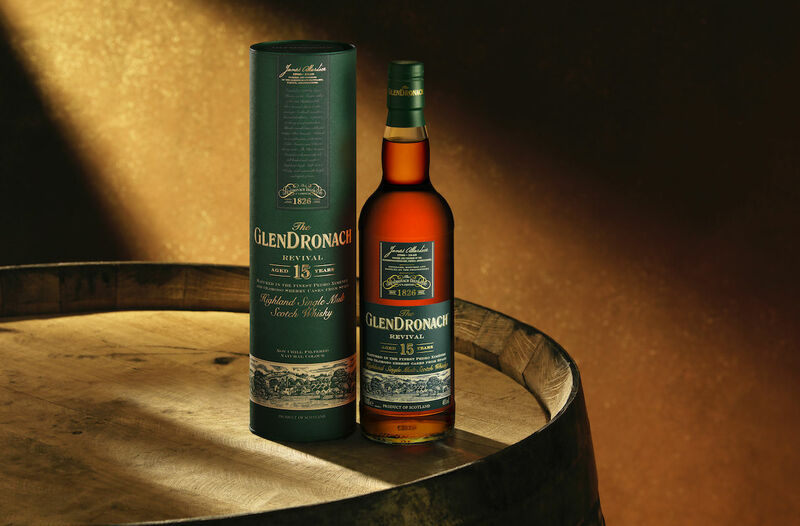 Well, one of the most popular Glendronach whiskies was its original Glendronach 15 Years Old launched in the 1990s. It was so sought-after that it was reintroduced as the Glendronach Revival 15 Years Old in 2009, but this time had its ABV bumped up from the original 40% to 46%. But the five years that the distillery was closed meant that stock to make the Revival was limited, and it was rumoured that Glendronach was forced to use whiskies many years older just to make it. Finally, the Revival was discontinued in 2015 due to stock constraints; by then it had entered into legend, and collectors scoured retail shelves to get their hands on whatever was left. Now you see why the return of the Glendronach Revival 15 Years Old – after a three-year absence from shelves – is such a big deal. But the new Glendronach 15 Years Old is not the same as the one of old; it follows a totally different cask ageing regime. Whereas the older 15 YO featured spirit aged exclusively in Oloroso sherry casks, the new 15 YO uses whiskies aged in a combination of Oloroso sherry casks and Pedro Ximénez casks. Thanks to the PX influence, expect flavours of dark fruits, rich chocolate and floral honey with an intense, prolonged sweet finish. Official distributors Malt & Wine Asia – it was previously carried by La Maison du Whisky – has also managed to bring in a single cask Glendronach whisky to feature alongside the new Revival. Cask #393 has been specially selected by master blender Rachel Barrie specially for this market. The single cask from the 1993 vintage (i.e. aged 25 years) follows rather closely to the Glendronach DNA, and rife with notes of vanilla, egg custard, apricot danish, cherry compote, sultanas, wax and milk chocolate, dried apricots, blood orange, sour raspberries, dark chocolate and a touch of soot. Welcome back, Glendronach. You’ve been missed. The Glendronach single malt range is distributed by Malt & Wine Asia, and the Glendronach Revival 15YO and Glendronach 1993 Cask #393 25YO are available for retail at whisky retail museum The Grande Whisky Collection at $299 and $1,099 respectively.